Situated in one of the most affluent areas in the world with fantastic architectural integrity, this project was an absolute gem for our surveyors. Kensington Park Gardens in Notting Hill London was originally part of the Ladbroke Estate owned by the Ladbroke family. In the early 19th century this was largely a suburban area, far different to what we know and see today. 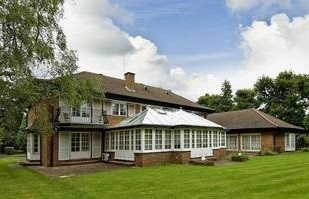 The estate was then passed on to James Weller in 1821, Nephew of the Ladbroke Patriarch Richard Ladbroke, who decided to develop on the land. 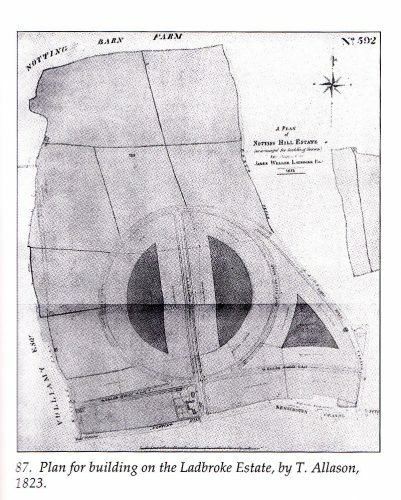 In conjunction with architect and surveyor Thomas Allason, they both developed a plan of the estate, completed in 1823 (see below), that included fifteen communal gardens a few of which are still there today giving Notting Hill its famous and desirable charm. However, the financial crisis of 1825 hindered the original plans, and in turn meant the plans had to be scaled down with their original scope to never be fulfilled. Over the years, several different developers were involved in shaping the area to what we see today with some roads such as Ladbroke Grove and Ladbroke Square leaving a subtle reminder to its founding history. Design Base were briefed to provide a Measured Building Survey to include all ten floor plans, three full height detailed elevations and six sections, a large brief for an expansive property. The superb plans are now ready for the architect & developer to move to the next design stage, one our team can be rightly proud of. 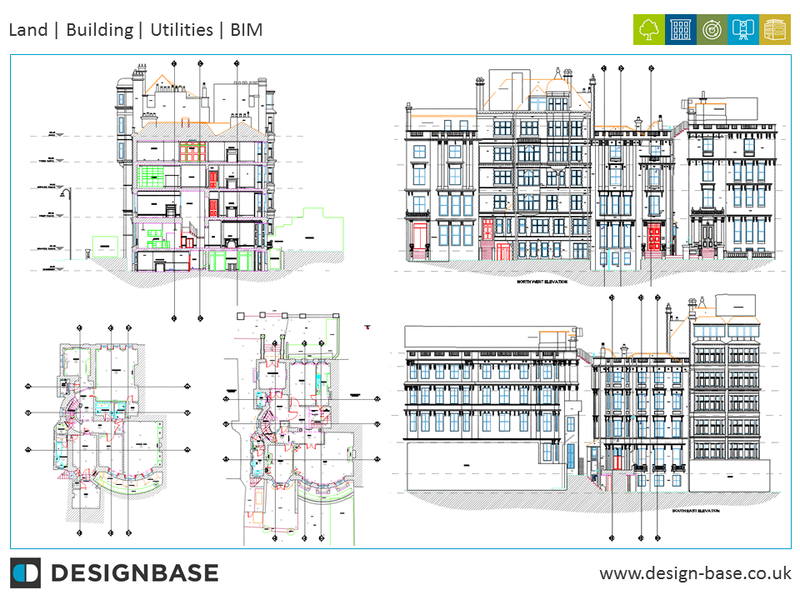 For further information on Topographical Surveys, Measured Building Surveys, Utilities Surveys and Scan to Revit (BIM) in London and the surrounding areas please contact jane.king@design-base.co.uk.